The motto of the Neuner family who took over the brewery in 1864 hasn’t changed since five generations: regionality equals freshness, variety of flavors and best quality. Our choice of raw materials has always been based on the highest quality from local areas. Finest hops from the “Hallertau” and malt from the Upper Bavarian region give their specific character to our beers. And the water? 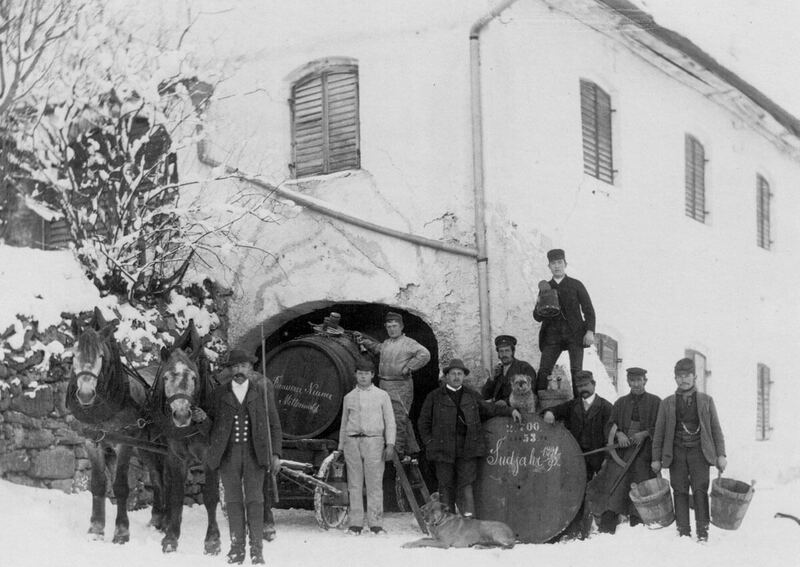 Since 1830 the excellent brewing water comes from our own source next to the “Lautersee”. 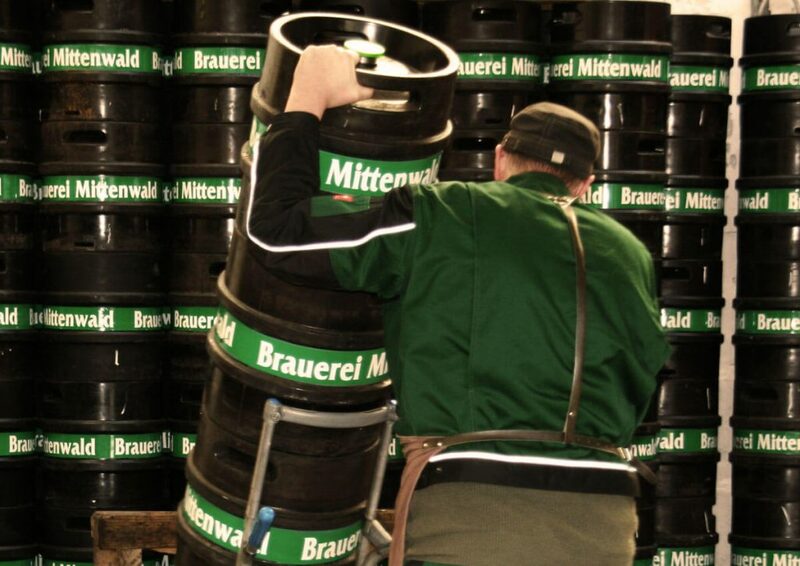 It still provides an important ingredient for the great taste of our Mittenwald beer specialties. 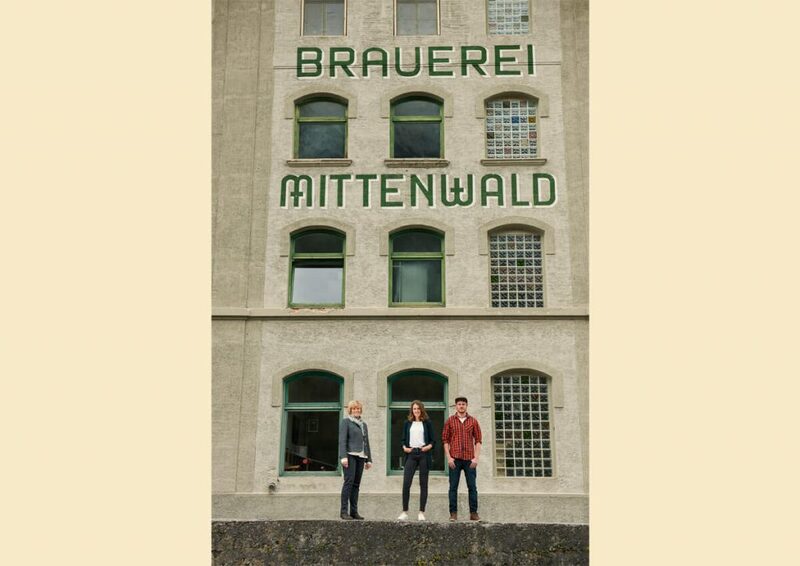 Today the Brauerei Mittenwald presents itself as a medium-sized company, future oriented, both in production as well as in sales and administration. Still there is a strong leaning towards tradition and time-consuming production of high-quality beer specialties and the consistent implementation of a taste-effective brewing concept. Each brew is individually boiled, fermented and stored from six to twelve weeks to develop its own individual taste. 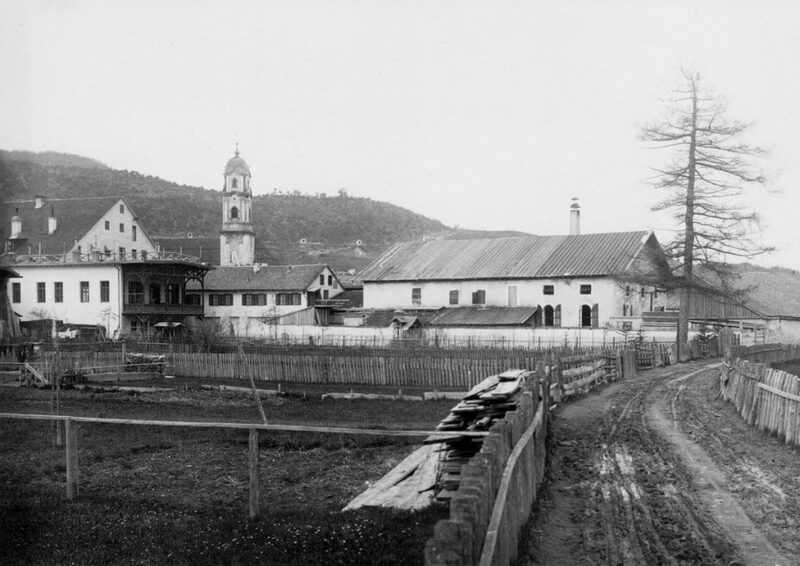 In 1898, the construction of the new brewery began right behind the “Post-Keller”. This was the first brick building in Mittenwald. 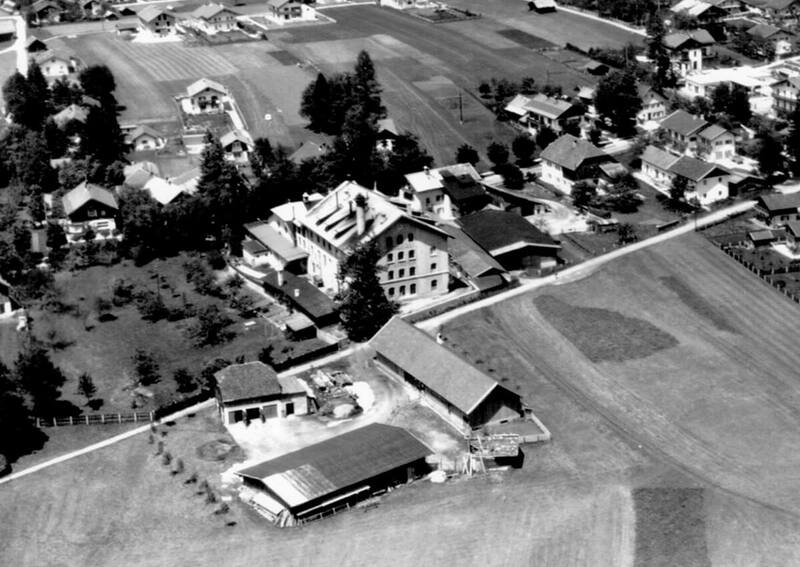 The entire building materials, machinery and equipment were brought by horse-drawn vehicles from Partenkirchen to Mittenwald. The first brew on April 8, 1903 inaugurated the new brewery building. However, Johann Baptist Neuner no longer experienced the official opening – he died on November 19, 1902. His son Johann Neuner took over the “Brauerei Mittenwald” from then on. 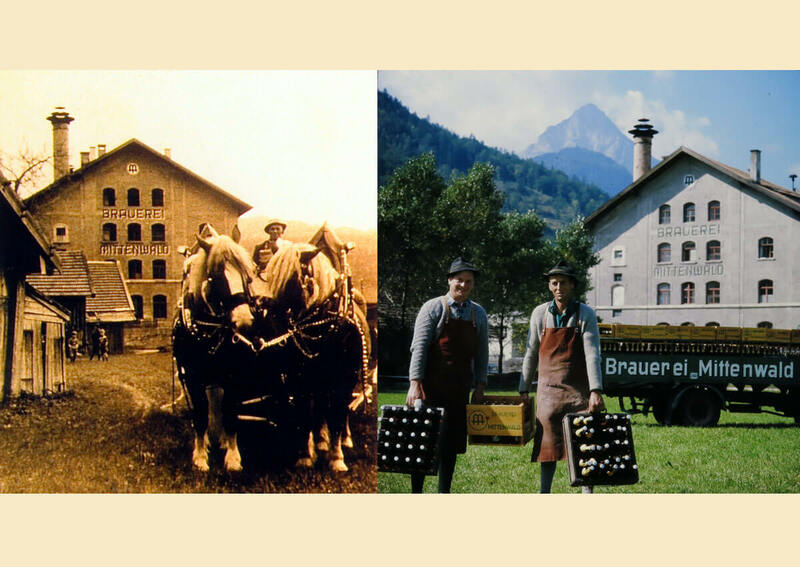 In 1808, according to the highest rescript of August 2, Johann Jochner, tradesman, and Thomas Knilling, “Königlich Bayerischer Posthalter” and host to Mittenwald were granted permission to produce beer according to a concession certificate. 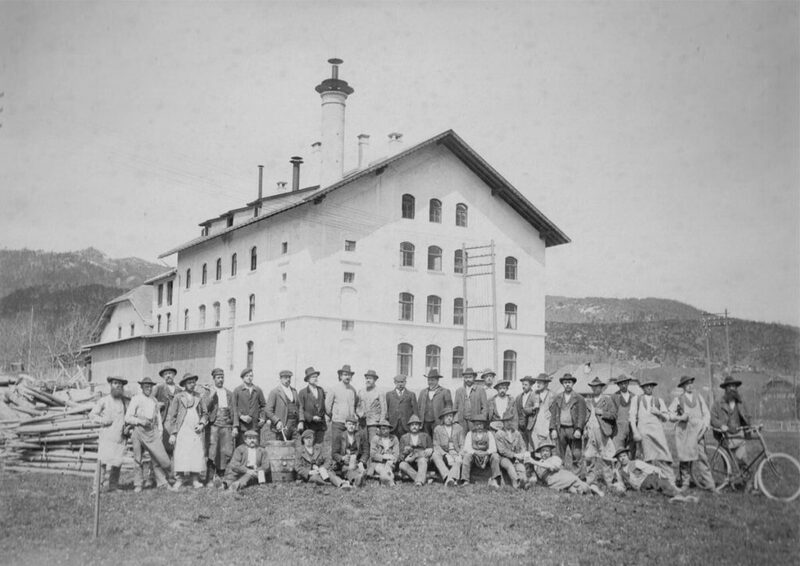 The wartime – Bavarian and French soldiers fought against Tyrol – prevented however the immediate construction of a brewery building. It was not until 1820 that the son-in-law of Thomas Knilling, Anton Reindl, completed the construction of the “Mittenwalder Brauhaus”, then known as the “Brauerei zur Post”, on today’s rear building of the “Hotel Post”. In order to be able to brew beer in the summer, so-called “Märzen cellars” or “summer cellars” were built on the “Kofelhänge” (1835) opposite today’s “Tonholzsägewerk Kreuzer” and at the foot of the “Burgberg” (1840), today Innsbrucker Straße 40. In winter time large blocks of natural ice were cut out at the lakes “Lautersee” and “Schmalensee” and stored in these cellars. Only so, the brewing season could be extended until early summer. 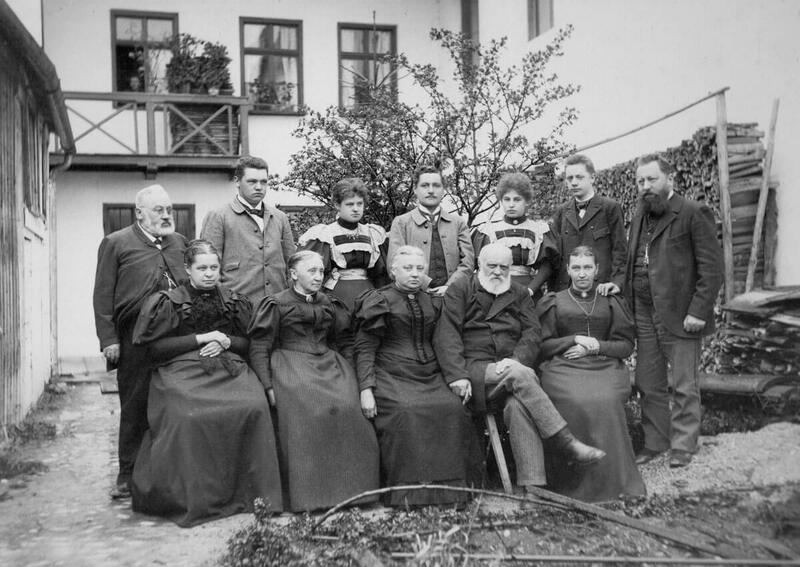 Rosa Reindl, the widow of the former brewery owner Anton Reindl also survived her son and left after her death in 1864 the entire property to her nephew, Johann Baptist Neuner. Since that day, January 9, 1864, the brewery is owned by the Neuner family. On September 30, 1891 a fire destroyed large parts of the brewery building behind the “Hotel Post”. 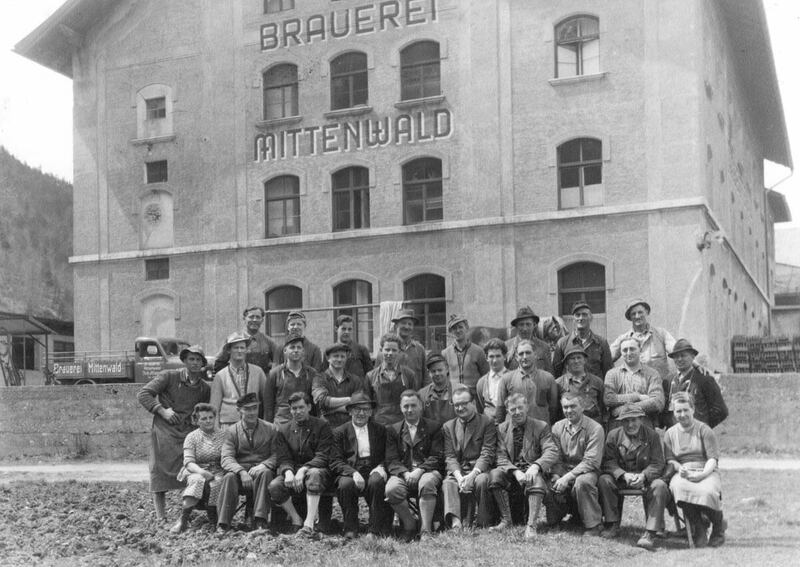 The brewery was temporarily relocated to the “Burgberg-Keller”, today still called “Altes Bräuhaus” (old brewery). 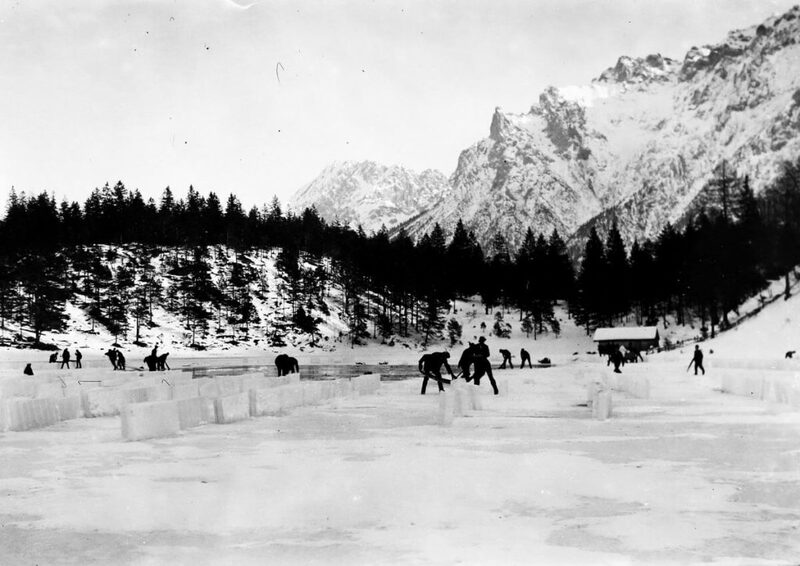 1892 began the two-year construction of a new storage cellar on a more than 20,000 square meter area at the Innsbrucker Straße outside the village, in the open countryside. It was called “Post-Keller” – then a summer cellar of the “Brauerei zur Post” with inn and beer garden. 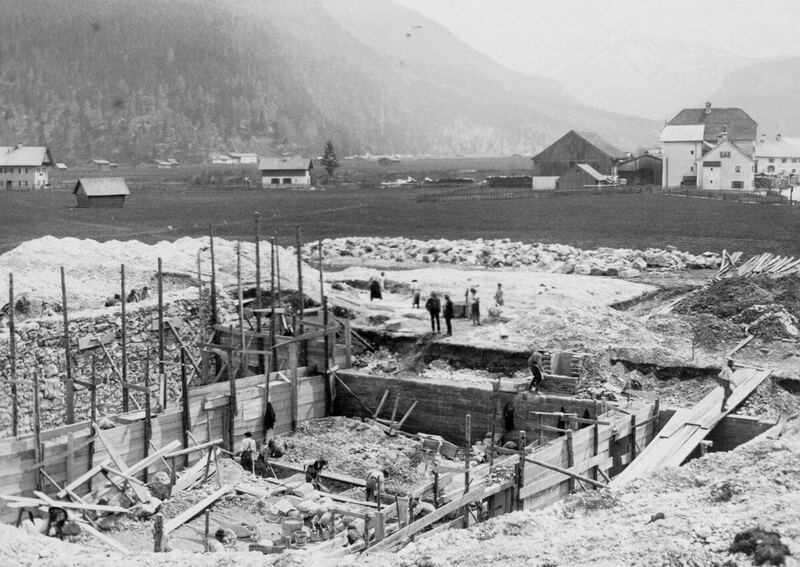 For the supply of water, the wooden pipeline from 1830 was recasted in 1898 by an iron pipeline from the source next to the “Lautersee” to the newly built brewery building. With a length of 1.750 m and an altitude difference of 110 m, this pipeline means a technical masterpiece of its time. In addition to the supply of brewing and service water, a 6 hp turbine is operated, which drives the brewery machines by means of transmission and feeds the batteries for the power supply at night with an aggregate. From 1946 to 1950, the conversion from direct current to three-phase current and thus to external current takes place. Until 1900, the summer cellars were sufficient for cooling. An additional ice cellar with a capacity of 1,200 cbm was installed in the new brewery building. 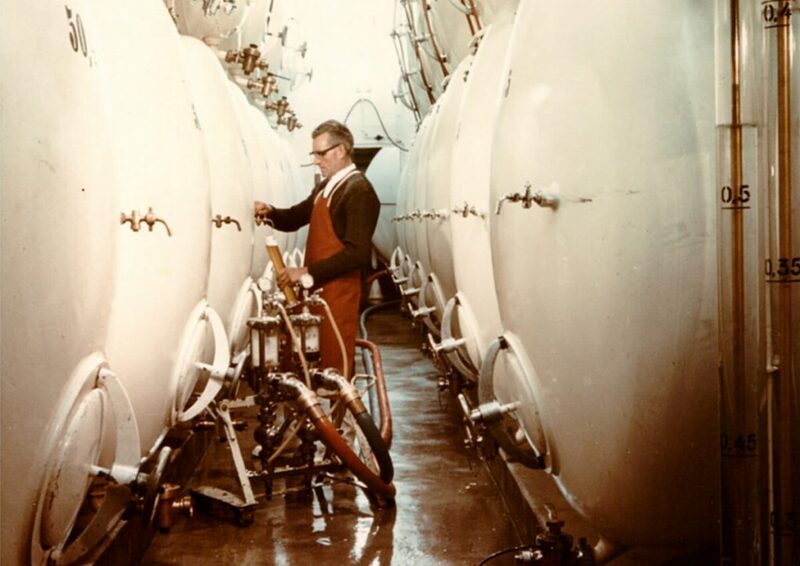 From 1935, a Linde ammonia compressor with diesel engine was used for cooling; since 1964 two external compressors with a capacity of 10,000 and 30,000 Kcal are operating. Until 1921 the heat requirement was covered exclusively by wood firing. Later coal from Upper Bavaria was added. From 1965 the entire energy requirement was covered with light oil, since 1992 with natural gas. In 1978, wort chiller and rinser were replaced by a plate type heat exchanger to save energy. This exchanger still covers the most of the hot water demand today. When selecting raw materials, we have always relied on the highest quality from local regions. 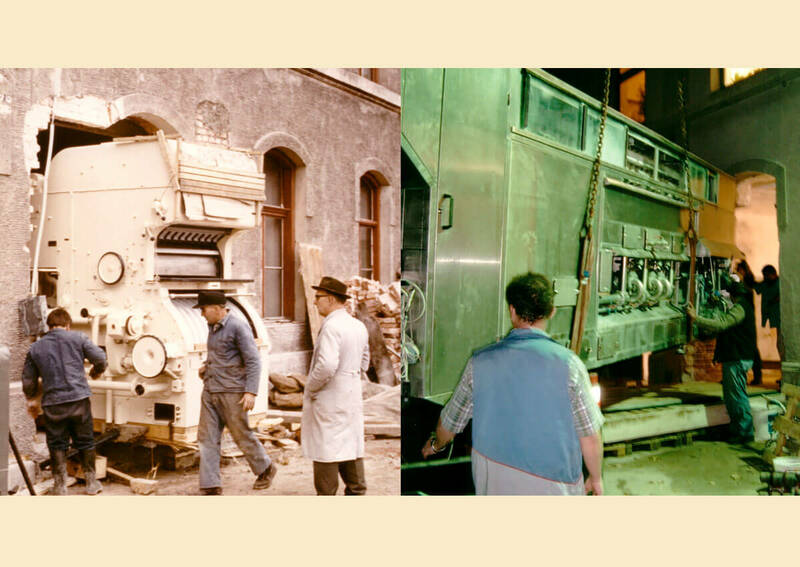 Until the closedown of our own malthouse in 1963, the barley came from the Munich area. 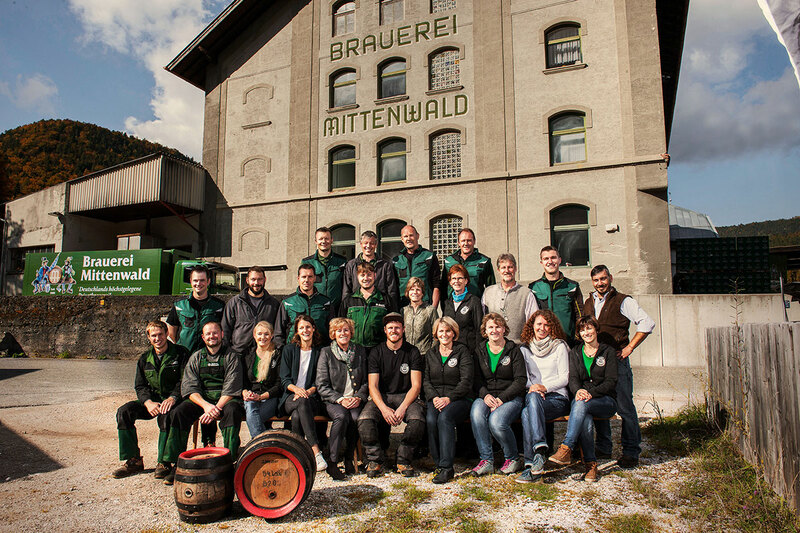 Today, the malt is purchased from small, family run malting plants in the Upper Bavarian region. Only the finest hops from the “Hallertau” are beeing used. 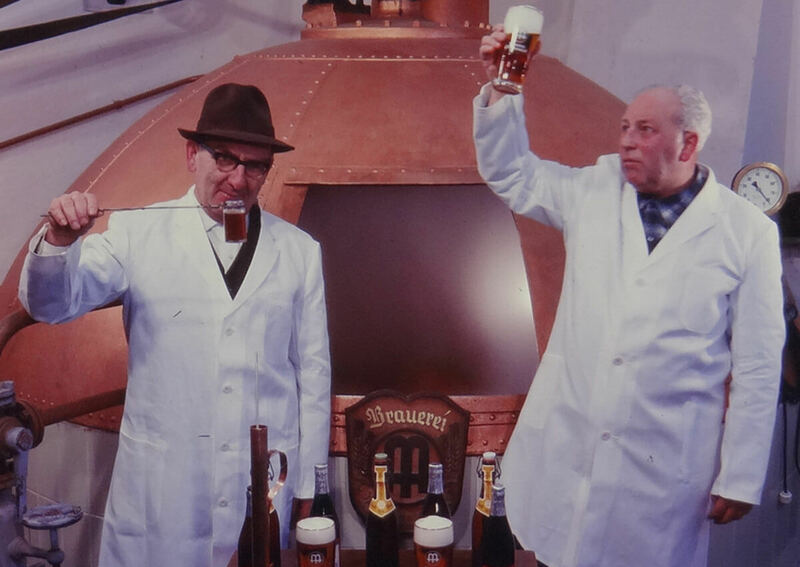 In 1929, the brewery also started producing non-alcoholic beverages. Since 2007, in addition to the classic soft drinks, table water is available. In 2017, the “Hopfala”, a hops flavored lemonade, is included in the assortment. Until 1934 the beer was exclusively delivered by horse and ox-wagons. 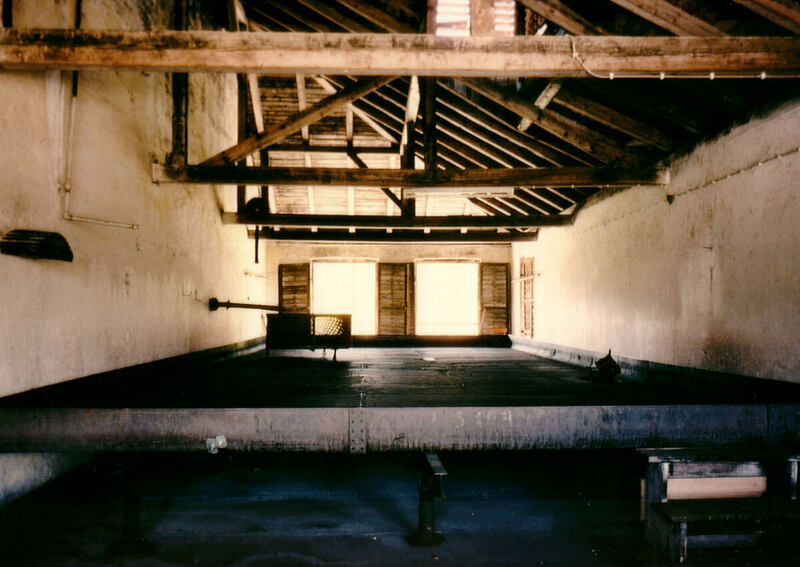 The last horse left the brewery in 1965. The first truck, a Hansa-Lloyd, started in 1935. Today, the brewery has a modern fleet, that directly supplies the local gastronomy, and thanks to home service also private households. Also the supply of the numerous mountain huts in the area is managed with suitable vehicles. In order to meet the increasing quality requirements, in 1981 the cask bottling is converted from aluminum to KEG stainless steel cask. This KEG bottling plant will be replaced in 2011 again. The old wood and aluminum barrels are finally sent to well-deserved retirement. In addition, 1994, a modern filtration plant and four stainless steel pressure tanks (150 HL, built by Gresser) were installed. For the same reasons, in 2005 the old bottling plant from 1964 had to give way to a machine park that meets today’s requirements. The construction work in the old building was enormous and so also a new CIP system for fully automatic cleaning of pipes and tanks, a new CO2 tank (6000 kg) and designed for the new machine capacity low pressure steam boiler (Viessmann 460 KW / 700 kg / h) were installed. 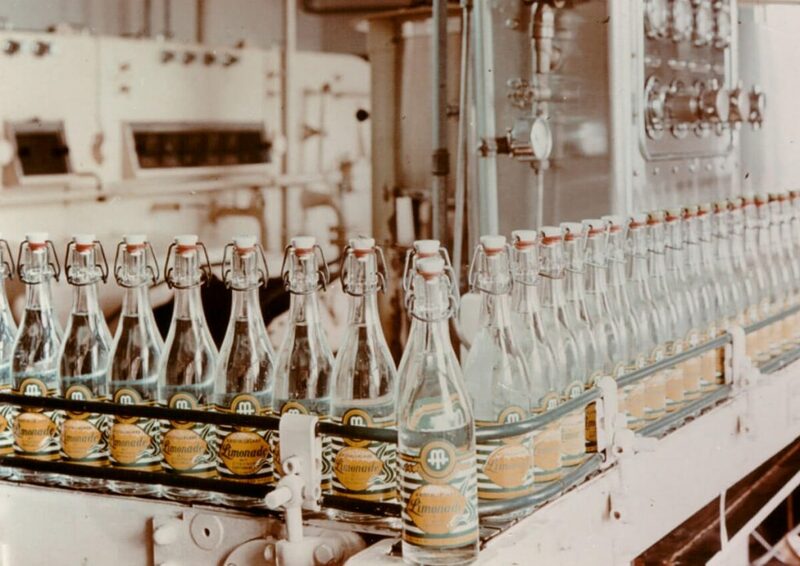 A new premix plant for the production of non-alcoholic beverages and the possibility to fill bottles with screw caps now complete this major conversion. In 2013, the reconstruction of the “Postkeller” and the new construction of the brewhouse began. The “Postkeller” could be reopened on November 26, 2014. The new brewhouse, built by Christoph Neuner, was inaugurated on January 26, 2016. 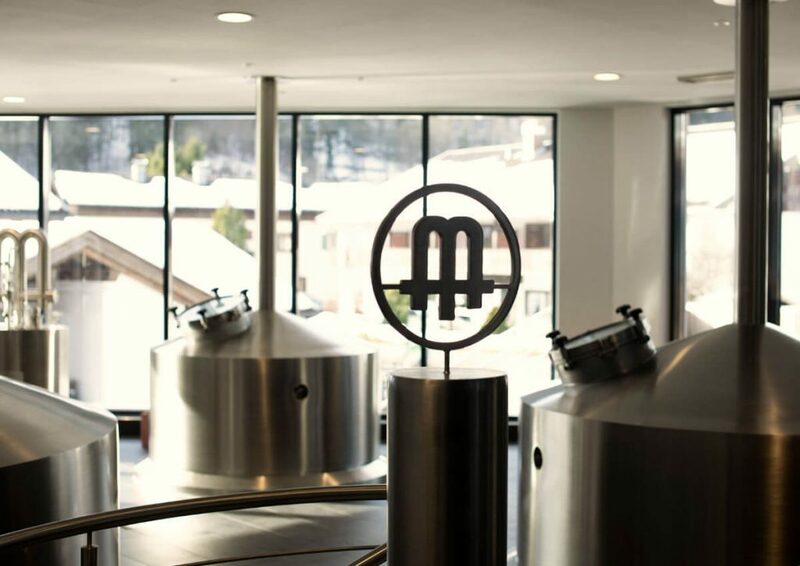 As already two generations ago, his father Matthias Neuner unfortunately no longer experienced the completion of the brewhouse – Mathias died on April 21, 2015. After the death of Matthias Neuner son Christoph, daughter Katharina and their mother Marion Neuner took over in fifth generation as new partners.